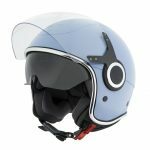 Light, flexible and breathable, Piaggio’s new Summer Gloves are designed to make scooter riding on hot summer days much more comfortable. The palm is predominantly made from Clarino – a man-made alternative to leather that out-performs leather in some applications, yet retains its softness, even when wet, and is microporous, to allow moisture and heat to escape. 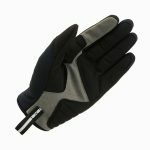 This works with mesh panels on the back for ventilation, to keep hands feeling fresh. The short cut means they can sit easily under the cuffs of summer riding jackets and also allows airflow around the wrists and forearms. For added comfort and dexterity, the gloves use stretch fabric, and the Neoprene cuff, with Velcro closure, ensures a secure fit. 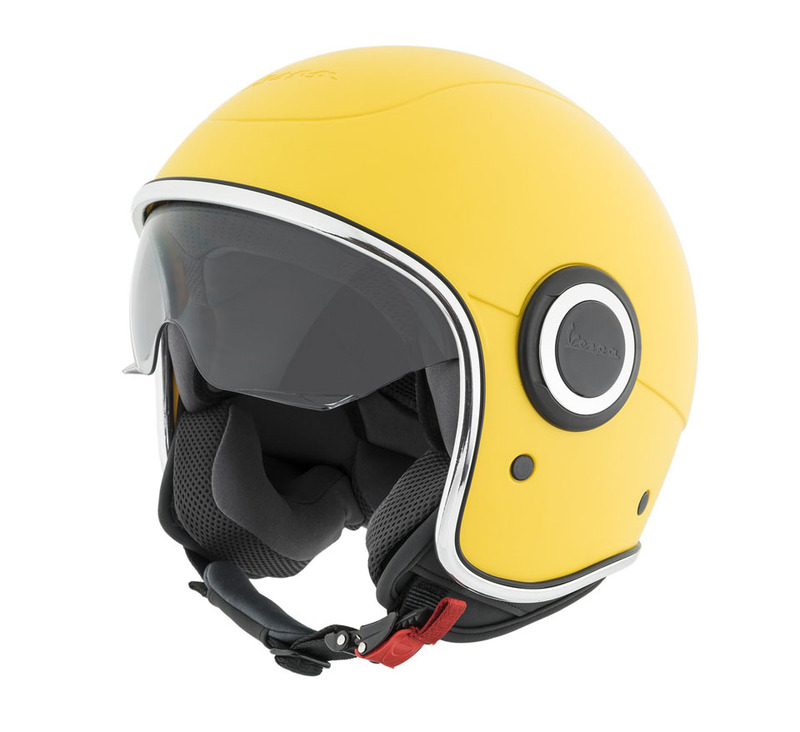 Thermoplastic rubber knuckle protectors complete the package. 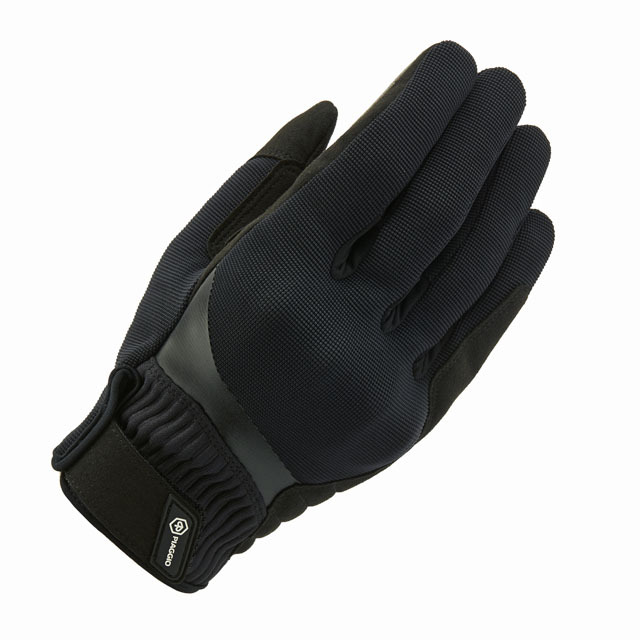 Piaggio Summer Gloves come in sizes S-3XL in classic black with a subtle Piaggio Logo injected on the wrist closure. They retail at £49.00 including VAT. 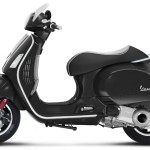 This entry was posted in Piaggio, Scooters on 02/08/2018 by Dan Sager. 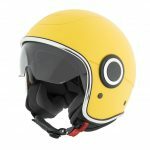 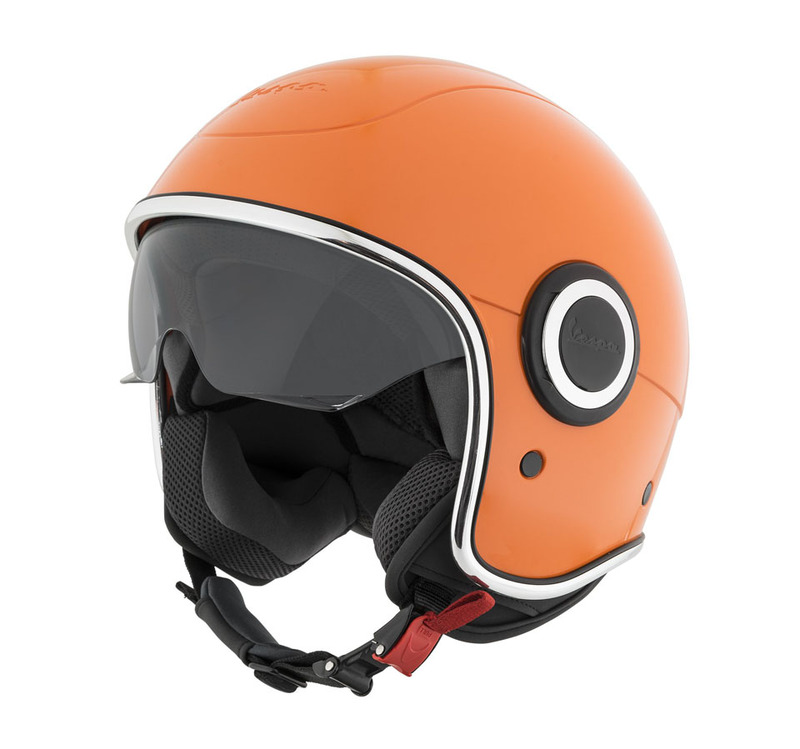 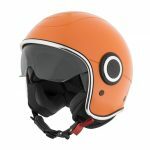 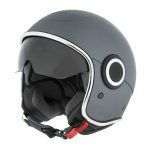 New from Europe’s largest scooter manufacturer, the Piaggio Modular Helmet is comfortable, practical and protective – the perfect riding partner both in and out of town. 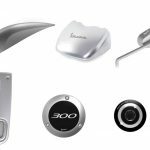 In town, when filling up with fuel, grabbing a snack or running an errand, the single button chin bar release makes it easy to reveal your face for recognition purposes. 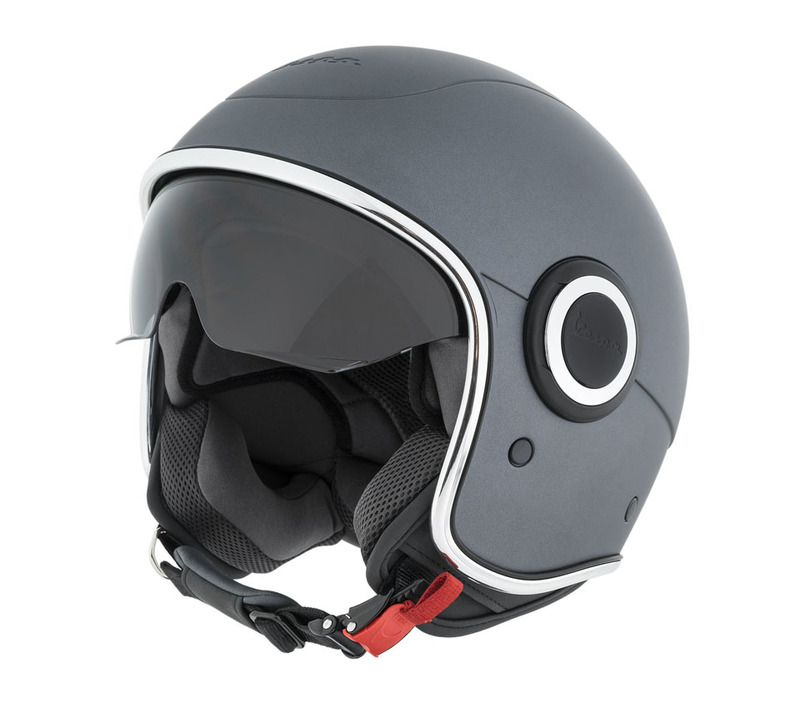 A quick-release, micrometric chin buckle means there’s no fiddling about in the car park or bike bay either – it’s as quick to fasten and adjust as it is to release. 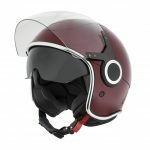 Out on the open road the aerodynamically designed shell offers cleaner airflow to keep the head stable, easing pressure on the neck for a relaxed ride. Made from tough, light thermoplastic/resin for strength and flexibility, with UV protection, the helmets is certified to the current ECE22.05 safety standard for road use. 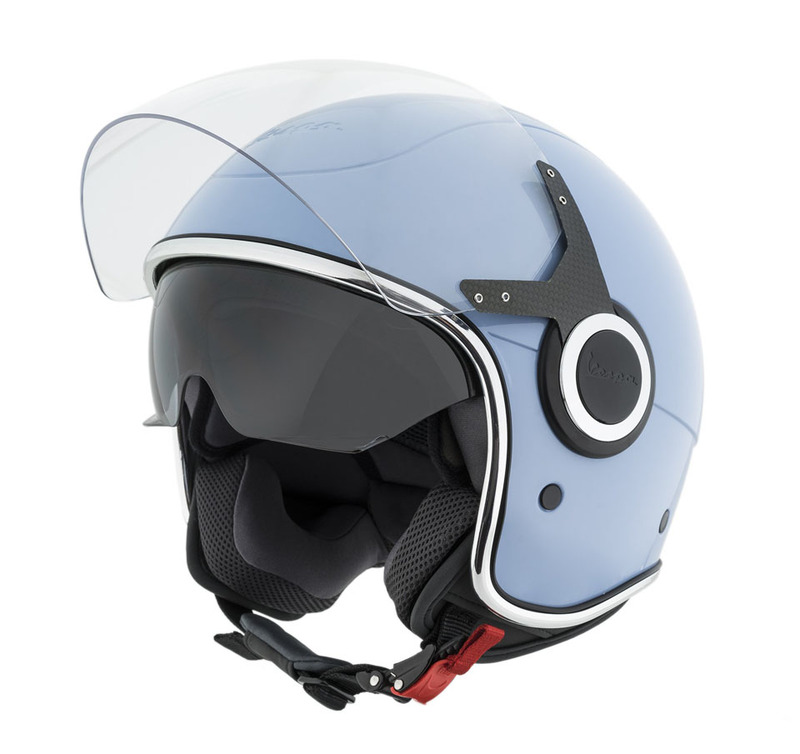 The scratch-resistant visor and internal, flip-down sun visor keep the view of the road ahead clear, while venting to the top and chin bar channels a cooling breeze through the EPS liner and out via exhaust vents to the rear. 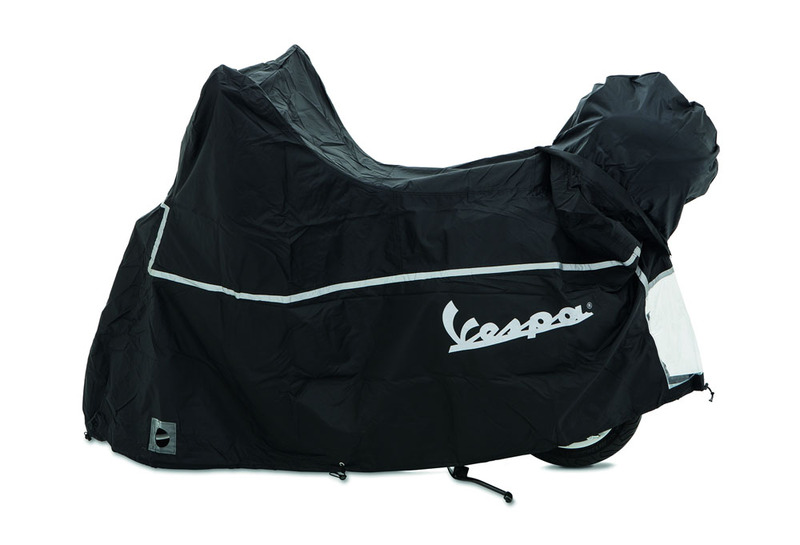 The high quality textile lining is hypoallergenic, as well as fully removable and washable, for season-long freshness and comfort. 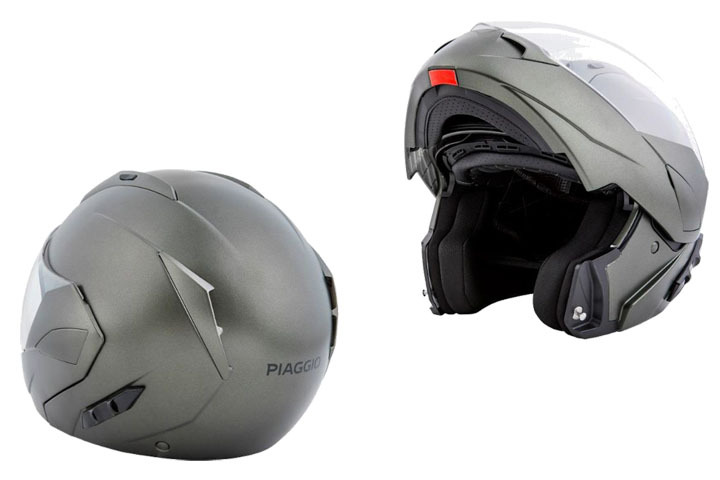 Piaggio’s Modular Helmet comes in two subtle colour choices – Bianco and Army Green – in sizes XS-XXL, and sells for £129. 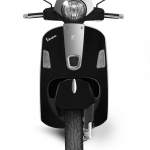 This entry was posted in Clothing, Piaggio, Scooters on 05/06/2018 by Dan Sager. 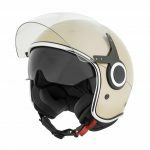 Vespa has teamed up with design specialists Rizoma to create an exclusive range of accessories for owners of its popular GTS Super scooter. 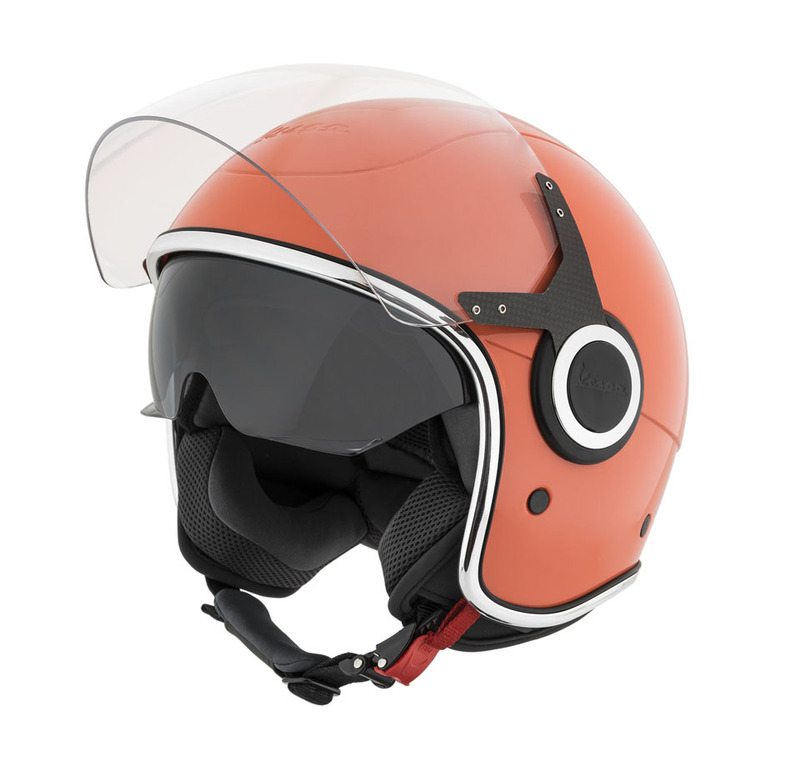 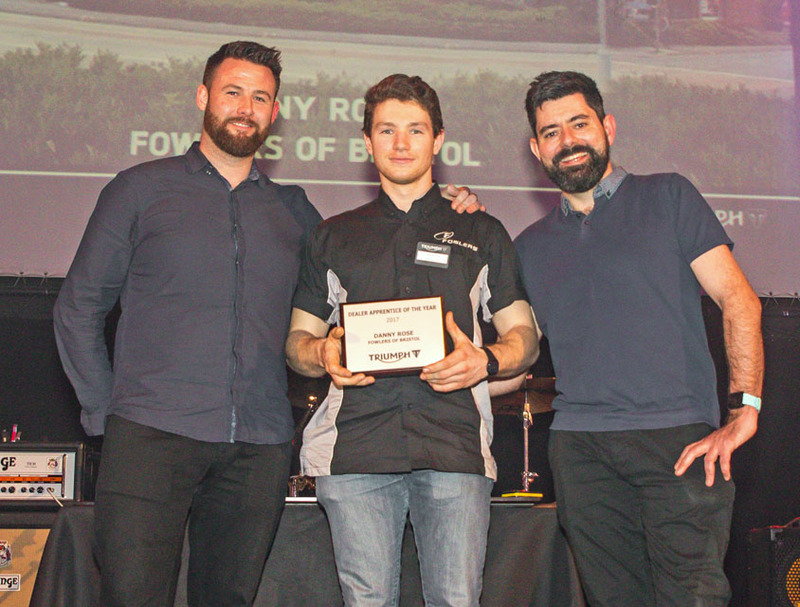 Rizoma specialise in manufacturing cutting-edge motorcycle and scooter accessories, using billet aluminium. Each part is designed and manufactured in Italy and – as you’d expect – finished to an incredibly high standard, adding a subtle, sporty and contemporary look. 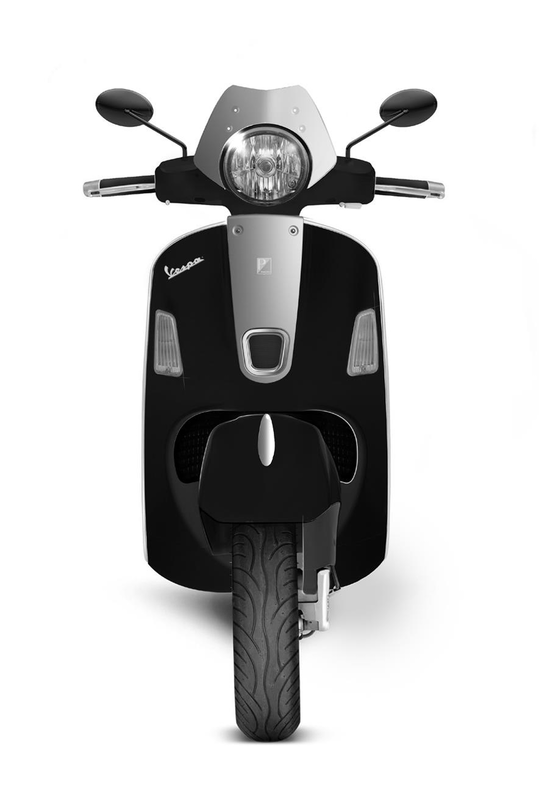 Starting from the front, Vespa GTS owners can opt for the Rizoma Front Shield/Horn Cover and Mudguard Crest to give their scooter a striking profile. 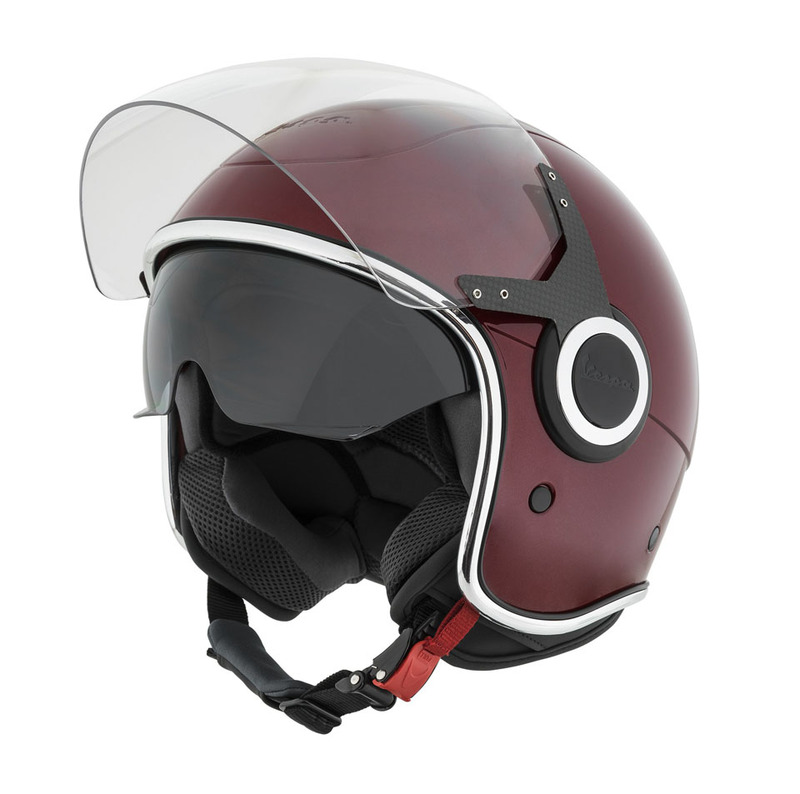 A short, stylish Fly Screen adds practicality as well as style, and can be accentuated with Rizoma’s alloy Rear View Mirrors. 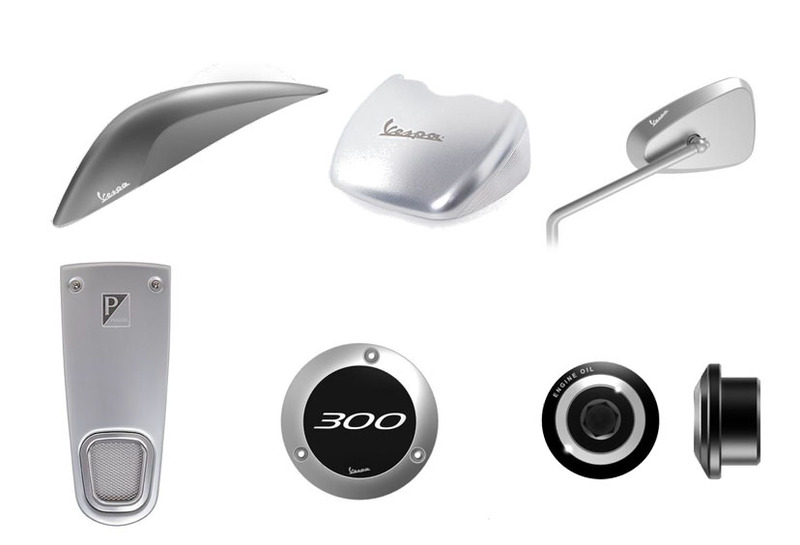 Finishing off the look is the Engine Oil Filler Cap, Transmission Cover Cap and Grab Hand Support Cover. 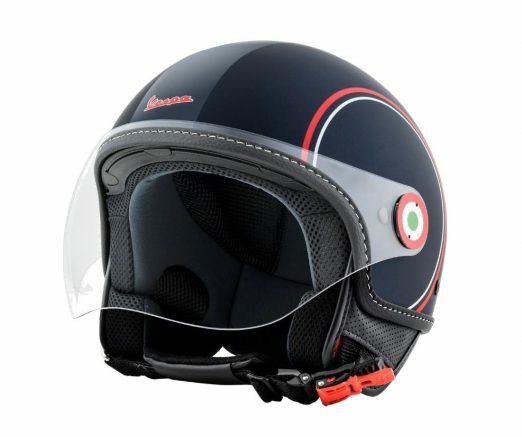 Vespa GTS Premium Sport Accessories are suitable for both the 125 and 300cc versions of the Vespa GTS Super, and are available exclusively through Vespa’s Genuine Accessory range. 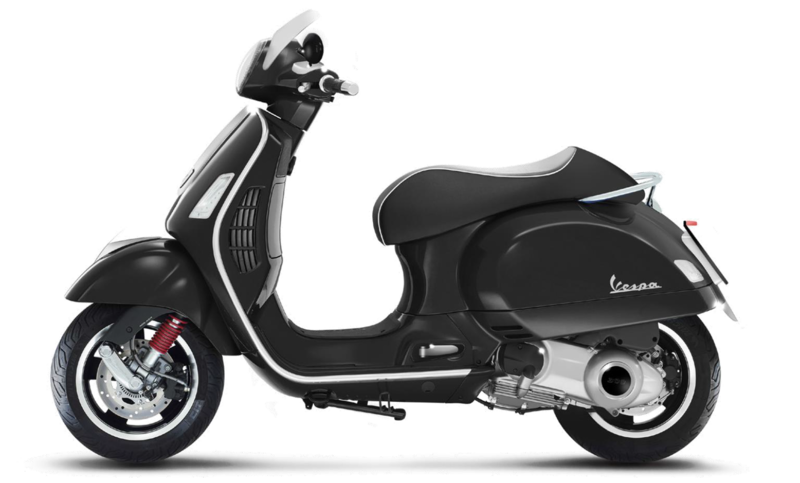 This entry was posted in Vespa on 28/01/2018 by Dan Sager.